Our cafe is known amongst locals for it’s delicious, seasonal food and it’s also a brilliant place to enjoy a nourishing drink. Alongside our own range of homemade juices, we’re proud to work with some brilliant brands to help enhance your day, one drink at a time. 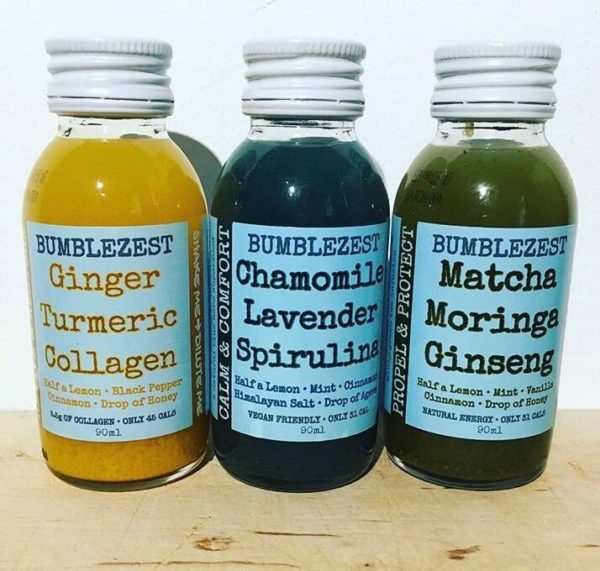 This week, we caught up with BumbleZest whose zesty superfood tonics are taking the cafe by storm. Read on to find out more from founder Dan about starting a business and staying on top of food trends. 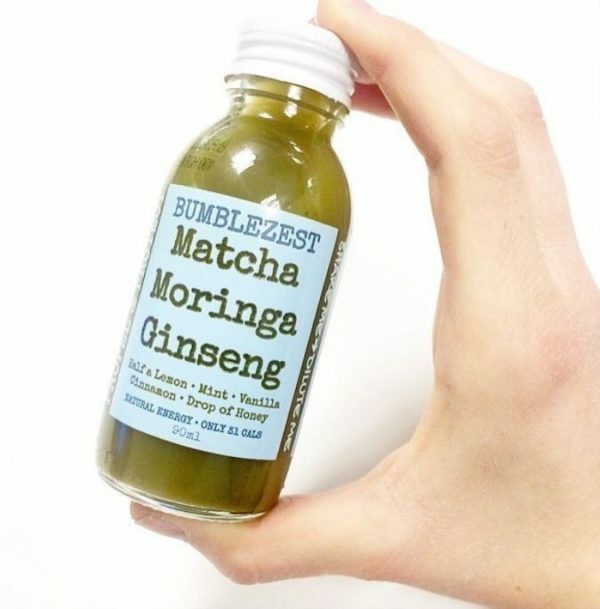 BumbleZest Drinks are a range of healthy, tasty, low sugar/cals drinks that are packed with superfoods and other interesting and healthy ingredients. We are a Carbon Neutral, Battersea based company. For lots more information on us and our drinks check out:www.bumblezest.co.uk. What was the initial inspiration behind Bumblezest? I struggled to keep a balanced lifestyle working in property and living in a city with lots of distractions. To help combat this I started drinking lemon water with a drop of honey, often mixing it with different herbs I grow in my tiny Battersea garden and unusual ingredients I have in my kitchen cupboard. 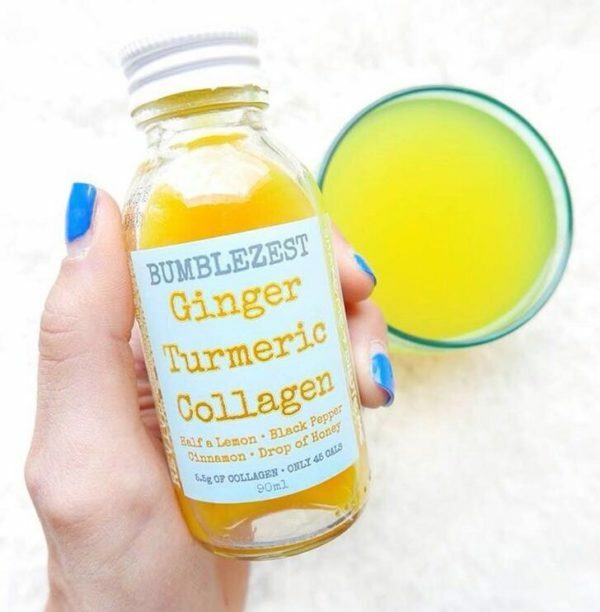 I wanted to start sourcing more incredible ingredients, so I packed in my day job to launch BumbleZest Drinks. I’m delighted that my fiancé Emily has now also packed in her job in an Advertising Agency and joined the BumbleZest team full time. I really hope you enjoy my recipes as much as I’ve had fun making them. What are the core values of BumbleZest? We love animals and the environment so always strive to be as ethical and environmentally friendly as possible. We ensure our ingredients are ethically sourced, we use environmentally friendlier packaging and we are Carbon Neutral. By offsetting our Carbon Foot print via official investment vehicles through Carbon Footprint Ltd, such as investing in deforestation prevention in the Amazon. We also are passionate about letting the ingredients do the talking, adding nothing artificial and packing as many different nutrients into one bottle as possible. Our other core value is that healthy doesn’t have to mean holding your nose whilst drinking, we make our drinks so that they have a great taste too! What is the biggest challenge you face on a day-to-day business and how do you overcome this? Like all start-ups (actually all companies) we have lots of different challenges everyday, some big like will an ingredient from the other side of the world turn up in time for our bottling day, to some smaller challenges like who has the time that day to take our office dog ‘Indie’ out for her long daily walk. We work as a team, know each others strengths and mainly do not panic! Everything has a solution… well they have so far! What has been BumbleZest‘s greatest achievement to date? Our greatest achievement so far has been being stocked in every Wholefoods Market store in the UK. We are totally chuffed! But we are thrilled and grateful to be with all of our stockists, big and small. Without their support we would be no where. From one business to another, what advice would you give other entrepreneurs wanting to start their own company? What does the future have in store for BumbleZest? We aim to be the go to health shot in the UK. We have many more interesting recipes ready to launch and aim to also release other products in the near future. Activated charcoal is definitely making an appearance in lots of press articles at the moment…. watch this space! If we came to BumbleZest HQ for lunch, what dish (or dishes!) would you serve? Emily and I eat poached eggs and smashed avocado on rye bread. We use coconut oil instead of butter and sprinkle it with lots of chilli flakes, black pepper an Himalayan salt. Sometimes with a side of beetroot – if we feel like going mad!